Snes Professional was a quickly up and coming emulator released in 1996. 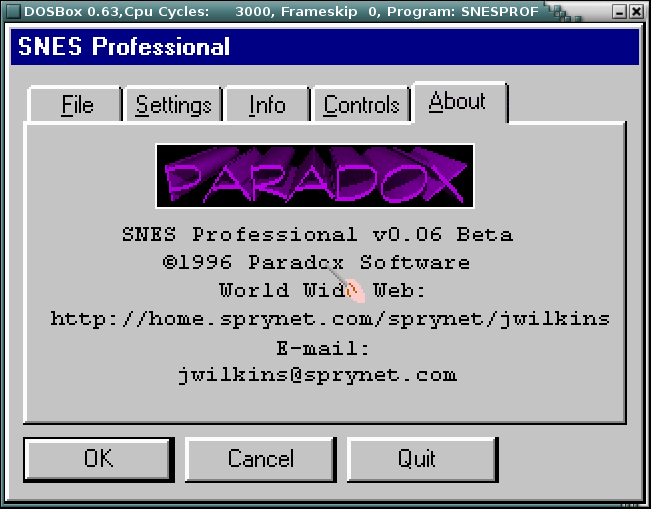 It was written by Jeremy Wilkins using the organization name of Paradox Software. It used C/C++ using the DJGPP compiler. It requires the file CWSDMPI.EXE to run. A total of 7 released came out, and the last version was 0.06b. It features a simple gui and some support for gamepads. It apparently was close to being able to run some commercial games, but my test of Super Mario World caused the emulator to crash. 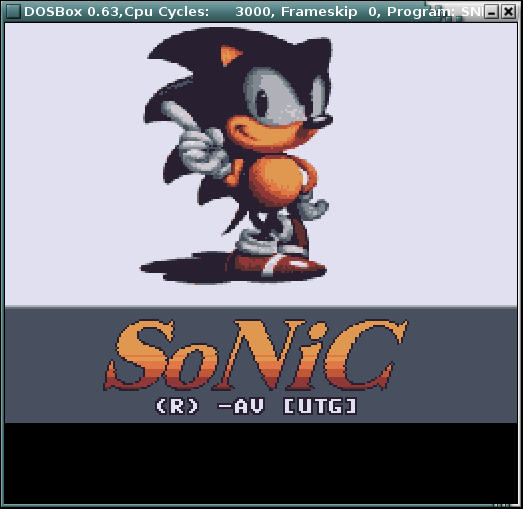 Running sonic.smc worked much better. The author quit making the emulator to contribute to Snes9x.